Washington: The helicopter kicked up a cloud of freshly fallen snow that partly obscured the ground below, but despite the poor visibility, it gently touched down in a landing that was unremarkable except for the fact no one was at the controls. 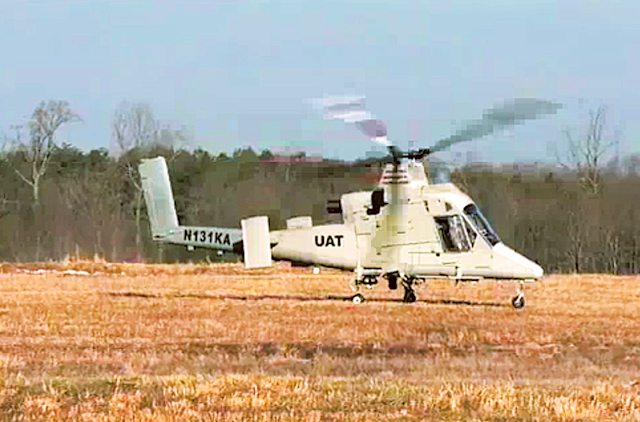 The helicopter, filmed during testing by the Naval Research Laboratory, was piloted by a 45 kilogram sensor and software package that officials said can turn any rotary-winged aircraft into a virtually autonomous drone able to fly with minimal input from the Marine Corps troops it was designed to serve. Rear Admiral Matthew Klunder, chief of Naval Research, said the sensor and software pack is “truly leap-ahead technology” that will let a Marine with no flight experience issue landing instructions to a cargo helicopter via tablet computer after just a few minutes of training. Klunder, who will preview the technology for industry and military leaders at a conference in Washington on Tuesday, said the aim of the project was to give troops a simple tool for battlefield resupply, reducing the casualties inherent in using ground convoys to deliver food, water and weapons. An Army study of data from 2003 to 2007 showed that one person was killed or wounded for every 24 fuel resupply convoys in Afghanistan and one was killed or wounded for every 29 water resupply convoys. Marines have used another unmanned cargo helicopter system, K-MAX, to shift millions of pounds of food, water and other gear in Afghanistan. But officials said K-MAX requires detailed planning, preparation of the landing site and a highly trained operator who controls the flight from beginning to end. Brigadier-General Kevin Killea, the head of the Marine Corps Warfighting Laboratory, said the new system can be instructed to touch down at an unprepared landing site and will figure out the details on its own using its sensors, including electro-optical, infrared and light detection and ranging, or LIDAR. “It’s taking unmanned aerial systems to the next level by introducing autonomy, and autonomy that works,” Killea told reporters. “In order to do that,” he added, “you have to solve the problem of degraded visual environments,” such as those caused by blowing snow or sand. The tablet computer interface has a topographical map overlay and buttons around the sides that allow the user to issue instructions or communicate with the craft, giving it permission to land or creating no-fly zones to tell the chopper to avoid danger areas. Otherwise the craft navigates on its own. Officials said the system had been tested on three different types of helicopters so far. Two different prototypes of the technology module are being developed, one by Lockheed Martin and the other by Aurora Flight Sciences. The project is funded for another four years, so researchers hope to use that time to expand the technology’s autonomous capabilities. “Right now... the way we have this set up, it’s asking for permission to land. I want it to... eventually tell the Marine, ‘This is where I’m landing and unless you don’t like that, leave me alone,’” said Max Snell, the program manager for the project. Klunder said if an emergency arose, researchers could have the system ready to field within a year or two.